NEW YORK -- Join the celebration of 40 years of Good Morning America with a 40-hour nonstop live-stream event! 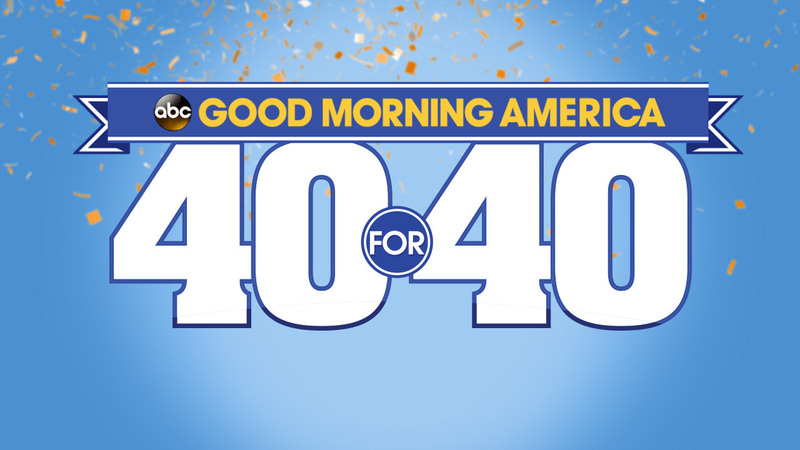 GMA's "40 for 40" live-stream event runs until Thursday at 9 a.m. ET|5 a.m. PT. Good Morning America anchors Robin Roberts and George Stephanopoulos kicked off GMA's "40 for 40" on Tuesday. The "40 for 40" event will also feature celebrity performances, as well as exclusive, memorable content, special guests and will be hosted by current and previous GMA anchors. During the marathon event on Tuesday night, the band One Direction performed several songs from their new album, Made in the A.M., including the new hit song, "Perfect," for the first time in the U.S. Check out some of the best moments from the 40 hour marathon here! GMA's "40 for 40" broadcast will be streamed live here, on ABCNews.com/GMA40, Facebook, YouTube Live, ABC News' mobile, tablet and OTT apps, Yahoo.com, ABC.com and the Watch ABC app with portions of the event streamed live on ESPN.com, the Watch ESPN app, Marvel.com and the Live Well Network and on participating local affiliate websites for broadcast and radio.